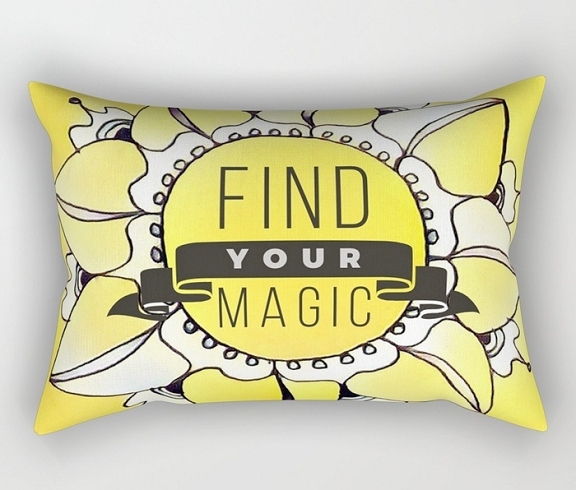 Dishfunctional Designs: Find Your Magic - New Inspirational Design Now Available! 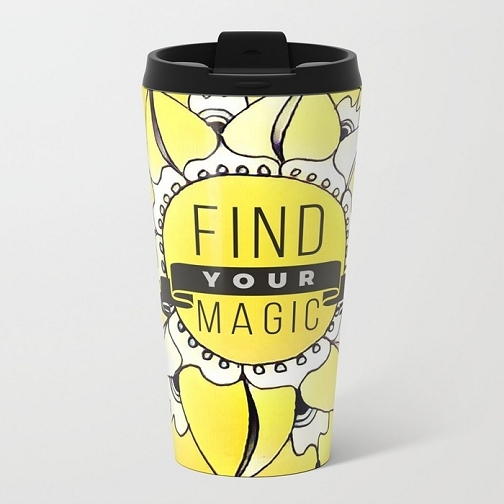 Find Your Magic - New Inspirational Design Now Available! Hi friends! 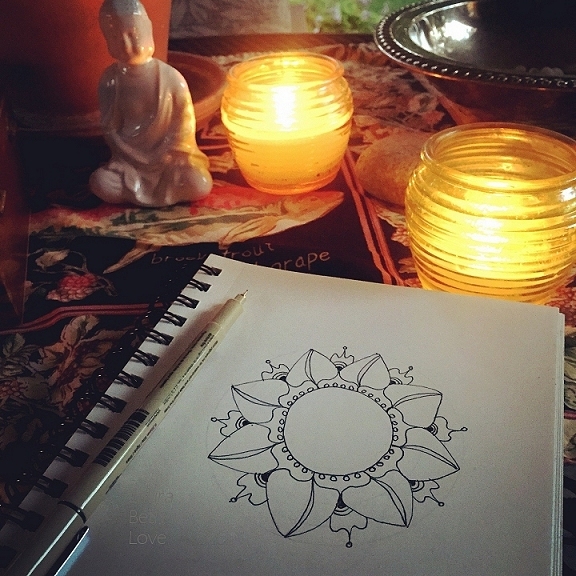 Last year I wrote a blog post entitled, A Meditative Sketch: Find Your Magic, where I featured the above illustration. It's a simple drawing that came from my heart, and it's become one of my very favorite creations. It's so simple but I think it flows so well. I love everything about this design - the shape, the flow, the color, and the message. 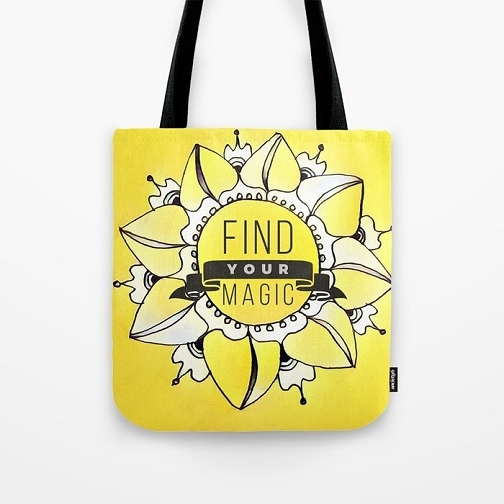 I decided to add some color to it and then create some products with the artwork so that I could share it. 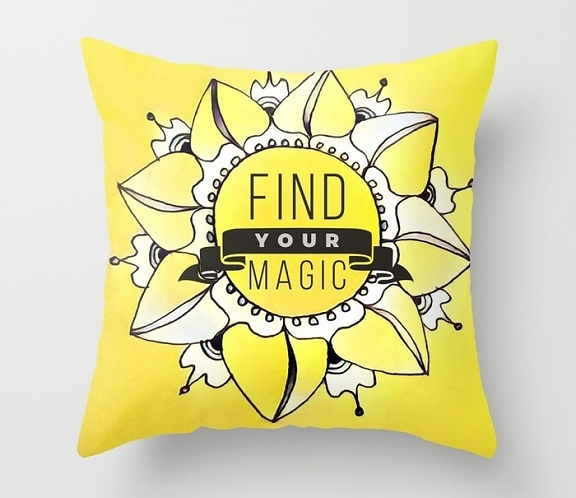 You can now find this design in my Soiety6 shop! Here are just a few examples of this new design on a few different products. All are available in my Society6 shop so be sure to check them out! The floor pillows are so cool! 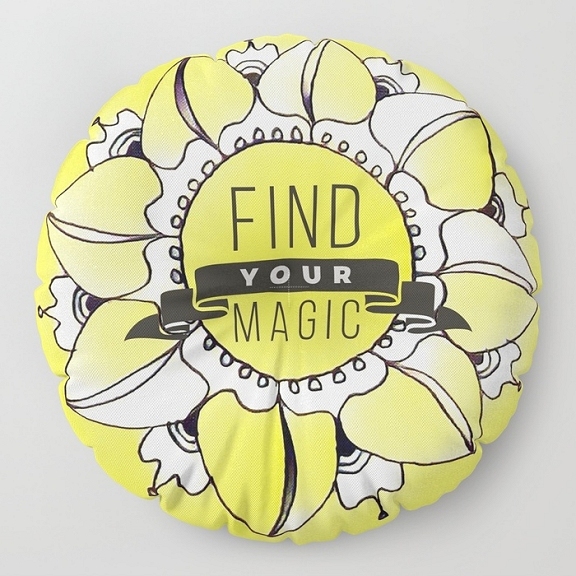 Tote bag available in 13", 16" or 18"
Amazing floor pillow available in two sizes and in round or square! 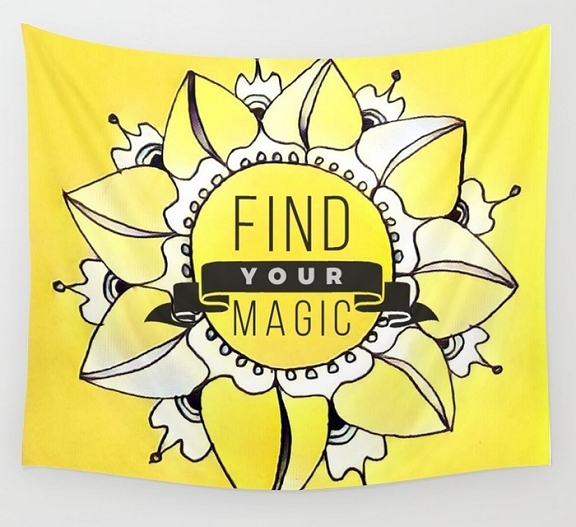 Wall tapestry available in 3 sizes! 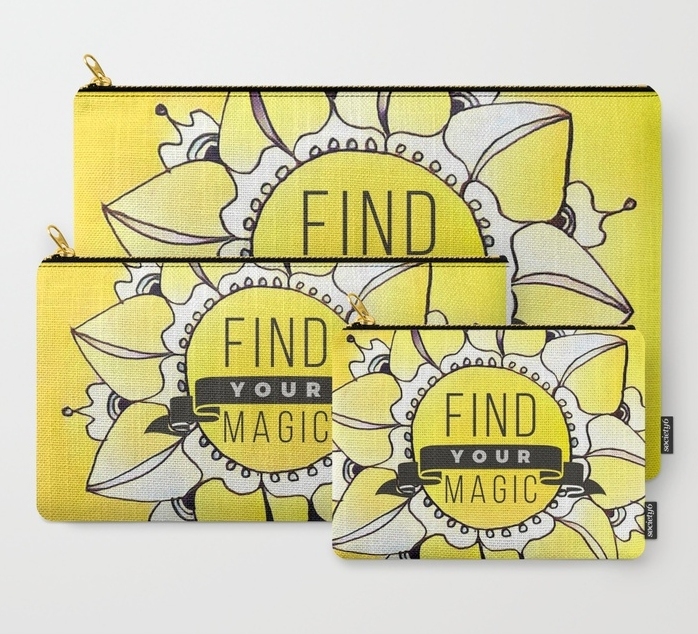 These canvas pouches are SO cool! 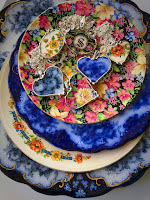 You can get the three different sizes pictured above, or the three together as a set. Check them out! I just love the pillows! There are square, rectangular (like the one above) and large floor pillows that you can order in circular or square. I hope you like them! Let me know what you think. Also new...TWO other collections...I just finished a collection of amazing eye-candy scales from mermaids, dragons and serpents, and maybe I'll feature those in a future blog post, but they're available right now in my Society6 shop. I've also been working on a collection of forest-inspired designs and I think they're really neat. 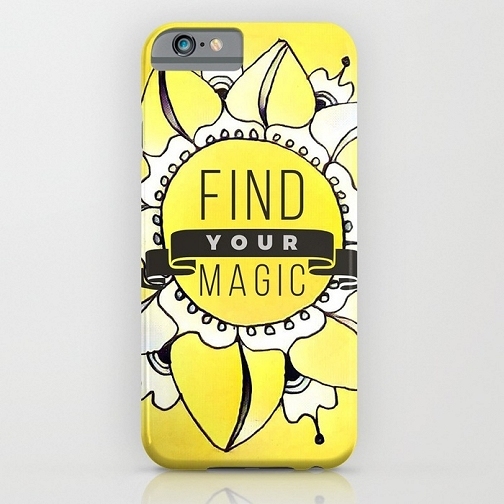 I'm so excited about these new designs and have been working on them daily. It's been a nice little break from jewelry making, and it's so refreshing to mix things up and allow my creativity to go in a few different directions. 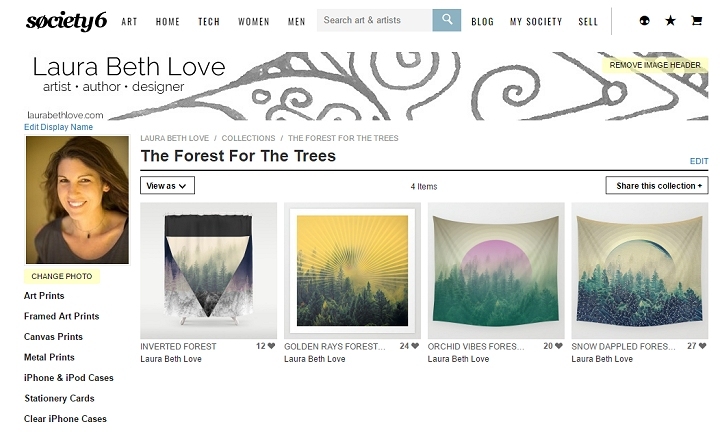 Here is a little preview my Forest For The Trees collection, which I will be adding more designs to shortly! Click the image below to see more and be sure to let me know what you think. For some reason I especially love it on the little bags. I love the design and the message here :) It's beautiful. Of course I love that it's one of those rare spontaneous designs that comes from the heart. 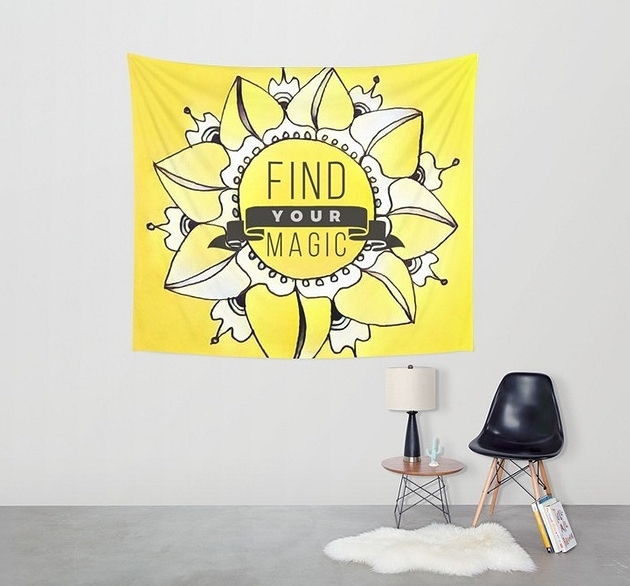 I love the yellow and the design is beautiful in all the products.